Shirley Lois (Lechus) Haggerty, age 84, beloved wife of the late Clyde James Haggerty, passed away Sunday, January 13, 2019 in Yale New Haven Hospital. Mrs. Haggerty was born October 14, 1934 in Derby, CT, daughter of the late William and Bertha (Owcarz) Lechus and was a longtime Stratford resident before moving to Shelton. 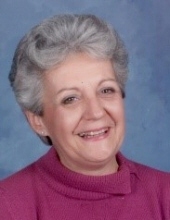 Shirley was a graduate of the University of Bridgeport Fones School of Dental Hygiene and a retired dental hygienist for the Town of Stratford and several local dental offices. She was an avid reader, a member of the Red Hat Society and enjoyed traveling to Cape Cod, Massachusetts. Shirley was a loving, compassionate mother and grandmother and will be missed by all who knew and loved her. Survivors include her four children CarrieLynn Saul and her husband Michael, James Haggerty, Daniel Haggerty and his wife Donna and Timothy Haggerty; six grandchildren Gillian, Erin, John and his wife Liz, Brenna, Patrick and Thomas; one great granddaughter Clare; one sister Lorraine Hirth; one sister-in-law, Alice Zawadski; two brothers-in-law, Don Fournier and Tony Melita and many nieces and nephews. She was predeceased by a sister Jeanette Fournier; a brother-in-law Jack Zawadski and a sister-in-law Mary Melita. Friends are invited to attend a Funeral Mass of Christian Burial celebrated by Father Arthur C. Mollenhauer on Friday, January 18, 2019 at 10:30 a.m. by meeting directly at Saint James Church, 2110 Main Street, Stratford. Interment will follow in Putney Cemetery, Stratford. Friends may visit her family Thursday from 4:00 p.m. to 7:00 p.m. in the William R. McDonald Funeral Home, 2591 Main St., Stratford. To send flowers or a remembrance gift to the family of Shirley Lois Haggerty, please visit our Tribute Store. "Email Address" would like to share the life celebration of Shirley Lois Haggerty. Click on the "link" to go to share a favorite memory or leave a condolence message for the family.